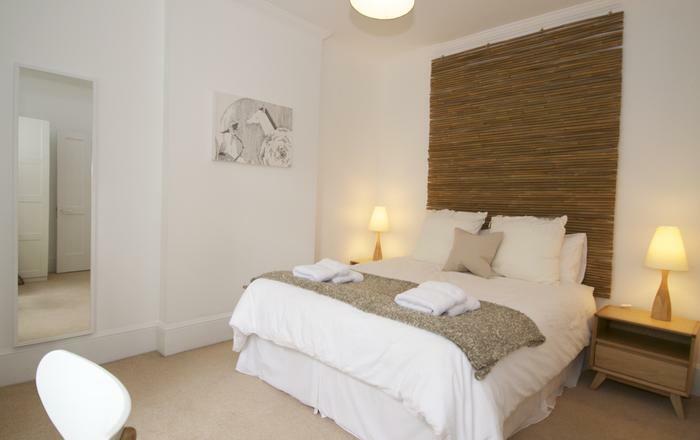 Belgravia Chesham is a well-appointed first floor flat in an attractive modern building. There is a day porter on site and you are close to Sloane Square and Knightsbridge in this elegant neighbourhood in the heart of sophisticated London. 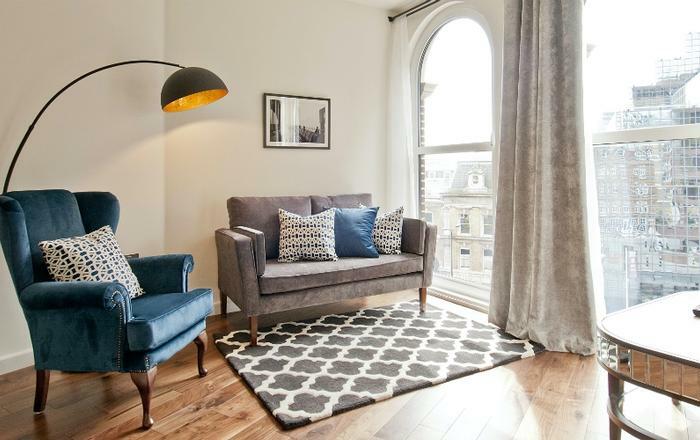 This short let London home offers a comfortable reception room with writing desk. The dining area is between the living room and kitchen with a large dining table and chairs for six people. The master bedroom has a queen sized bed. The second bedroom offers a trundle bed which can be split into two or used as a single. There are two writing desks, plenty of storage space and fresh linen is provided as standard. 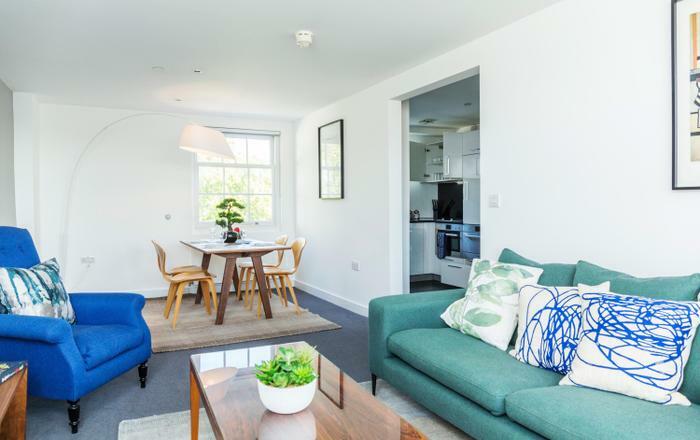 Belgravia Chesham's kitchen is well equipped with two electric ovens, a ceramic hob, microwave, dishwasher, washer/dryer, electric coffee maker, telephone and a small marble breakfast table. The en-suite bathroom has a walk-in-shower, WC and basin. A second family bathroom offers a tub with overhead shower and is fully tiled with marble tops. 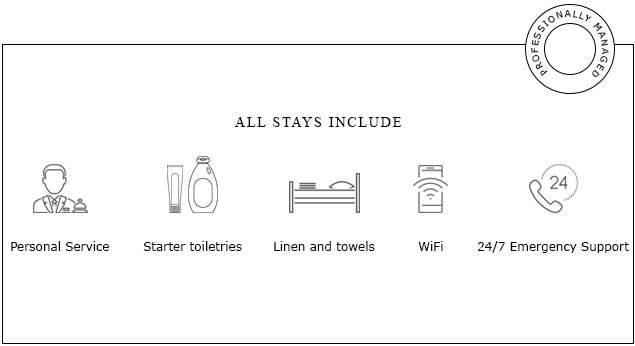 Fresh towels are provided as standard. 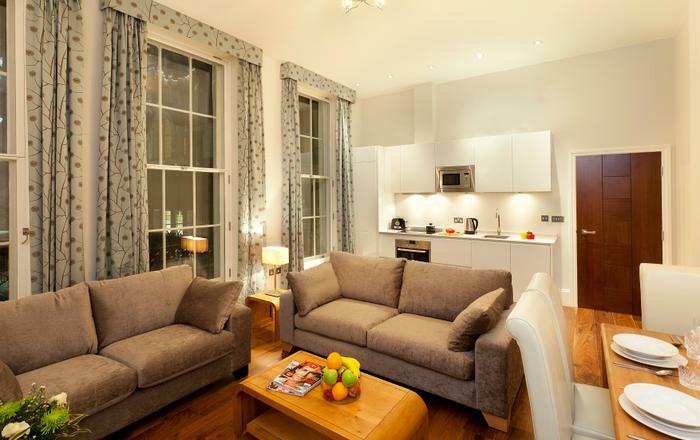 Sloane Square Underground - on the District & Circle lines - 5 minute walk away from the flat. 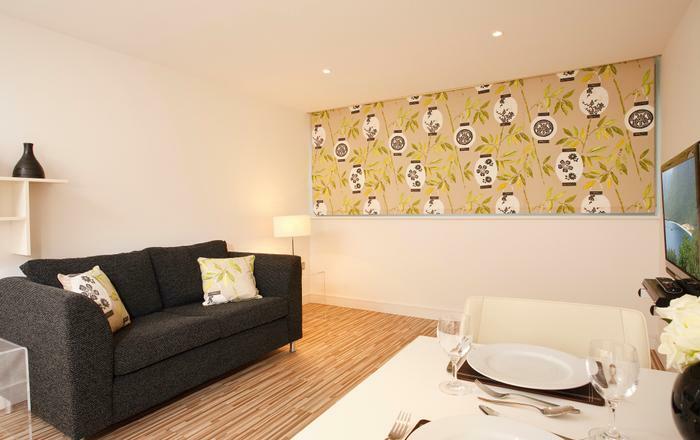 Knightsbridge Underground - on the Piccadilly Line - 5 minute walk away from the flat. 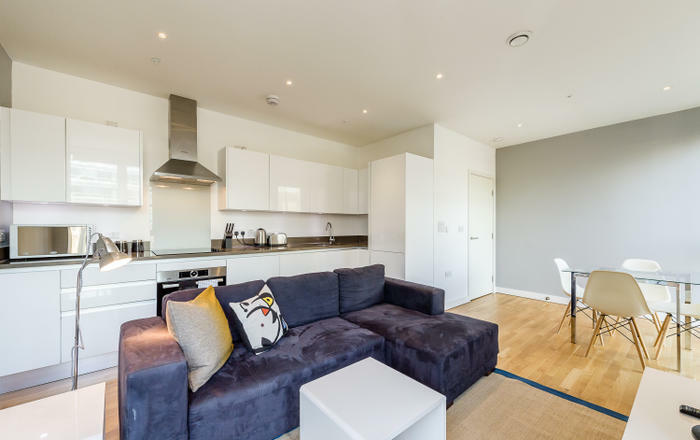 This short let London is fully furnished and equipped with linen, towels, kitchenware and WiFi. 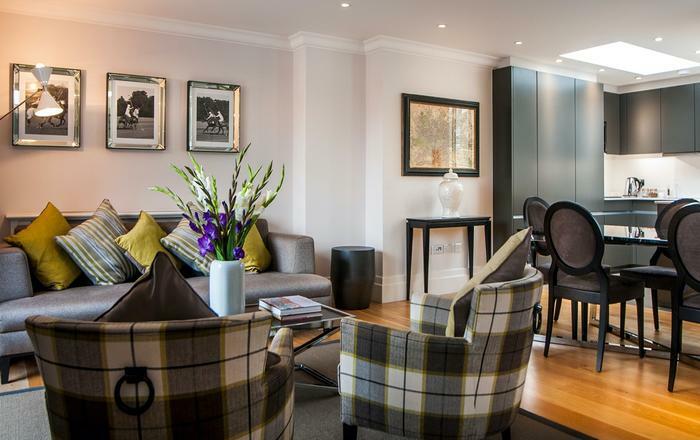 Belgravia is charming and ideally located being so close to Hyde Park, Knightsbridge and Sloane Square. Stroll around and enjoy the elegant squares, gardens and architecture of this central, exquisite neighbourhood. All of central London's best cafes, restaurants and boutiques are within strolling distance of you here.